Samsung is going to announce aÂ new Gear VR at its Galaxy Note 7 Unpacked event happening next week on Tuesday in New York. A device with the model nameÂ SM-R323 popped up on the Zauba import listings at the beginning of the month, but nothing else was/is known at the moment about the upcoming accessory. Our best guess on the changes was referring to new lenses, maybe and improved trackpad or a total revamp of the design. 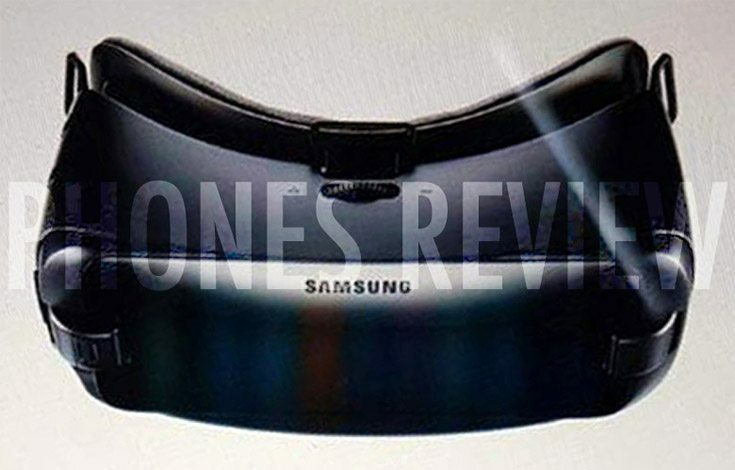 It is still unclear what Samsung is preparing for the New Gear VR, but at least we get the chance to look at it before the official announcement. As you can see in the image above, it is now black (that’s not to say there won’t be a white one), andÂ looks pretty much like the current consumer edition device on the market. with the focus wheel on the top. However, there could be some changes under the hood about which we will know more once it becomes official. One thing’s certain though: with USB Type-C replacing the Micro USB port on the upcoming Note, Samsung has to release a new Gear VR, as the consumer edition features Micro USB connectivity, making the new Note 7 incompatible.